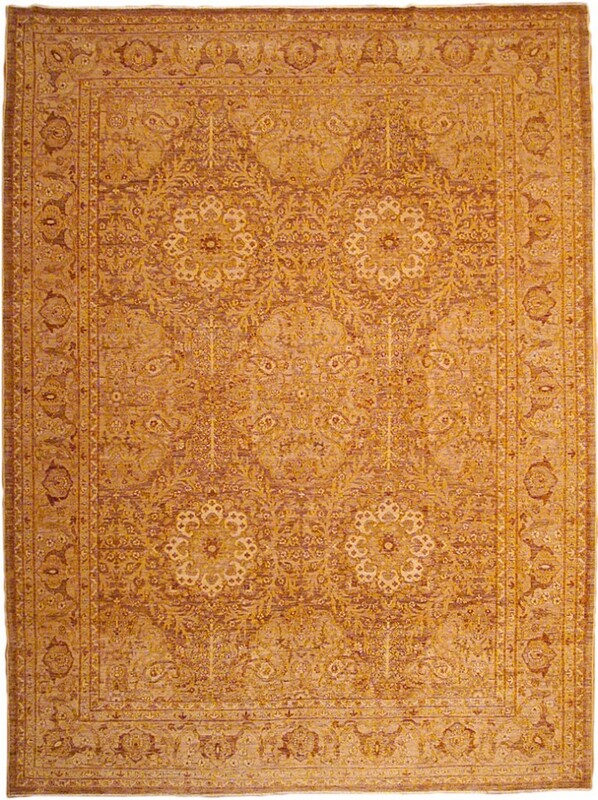 Ferahan (or Farahan) is reminiscent of 19th century Persian design sensibilities. These rugs are known for their sturdy construction. Handspun wool is woven on a cotton foundation to provide an overall feel of thin, tight pile. 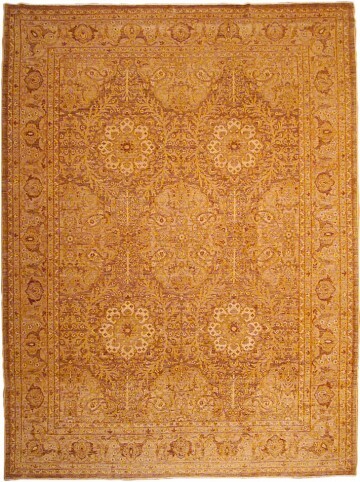 Ferahan rug makers color their wool with all vegetable dyes to achieve natural, earthy hues such as we see in this rug’s brick, gold and ivory accents. Interior designers appreciate the versatility and investment value of decorative rugs like this one for decorating fine homes.